Defence Minister Nirmala Sitharaman invited for inaugural session of women's convention. This year, the three-day annual conference of state DGPs is being held at the convention facility at the newly constructed Statue of Unity in Narmada district. At 182 metres, the world’s tallest statue was inaugurated by PM Modi in October. The DGPs’ conference began on Thursday with Union Home Minister Rajnath Singh and his deputy Kiran Rijiju in attendance. On December 22, PM Modi is also expected to address the BJP women’s wing national convention scheduled to be held at Gandhinagar. The BJP’s women’s wing convention is beginning on Friday where a host of issues, including women’s role in the party’s preparation for the 2019 Lok Sabha elections, would be discussed. The mega meet will be held at an open ground behind Trimandir, a temple complex near Adalaj village in Gandhinagar district. Defence Minister Nirmala Sitharaman has been invited for the inaugural function on Friday while the Prime Minister would attend the closing ceremony on December 22. Earlier in the week, the PM was in Maharashtra to launch infrastructure and housing projects worth around Rs 41,000 crore in the state. 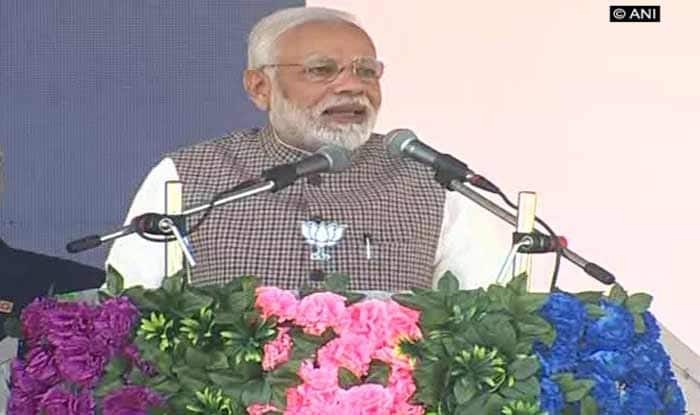 The PM lay the foundation stone for Thane-Bhiwandi-Kalyan metro 5 and Dahisar-Mira Bhayander metro-9 in Kalyan in the neighbouring Thane district. The event also saw the launch of Navi Mumbai town planning authority City and Industrial Development Corporation of Maharashtra’s (Cidco) mass housing scheme worth Rs 18,000 crore, which offers around 89,771 affordable homes under the Pradhan Mantri Awas Yojana (PMAY). In another event in Pune, the PM will lay the foundation stone for the proposed third metro line between Hinjewadi and Shivajinagar, being implemented by the Pune Metropolitan Region Development Authority (PMRDA) on a public-private partnership basis after the new metro policy.